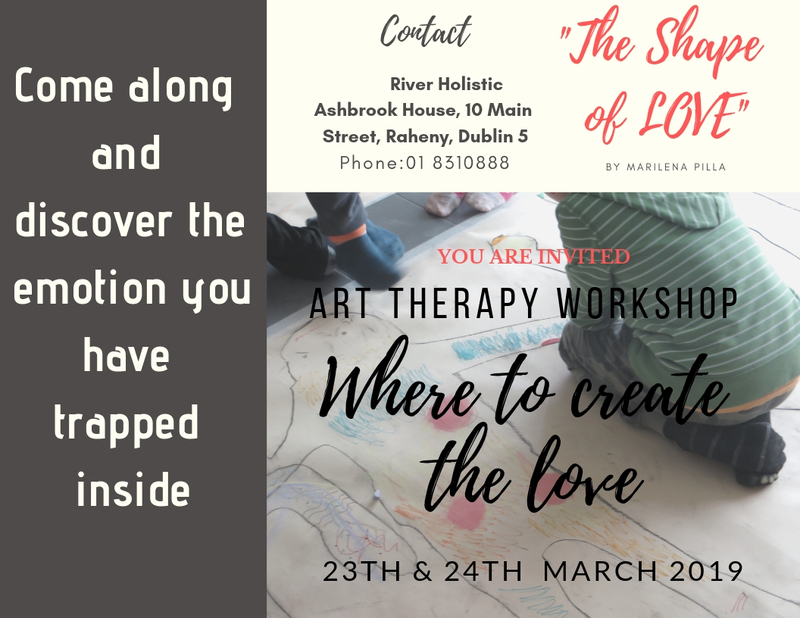 Marilena is coming over to Ireland in March to introduce you all to her beautiful way of teaching you how to express yourself through art. Spaces are limited to 10 to ensure that you get the space and attention you need to fully express your true beauty and happiness on the canvas, which you get to take home with you, either to display at home or to keep just for you to remind yourself of your ‘Shape of Love’. You can call us at reception or email info@riverholistic.ie to find out more or just to book straight on. “Come to do this workshop! Do you want to discover what is happiness and love for you? Have you ever tried to give it a shape? Here, in this workshop, you have this possibility. To discover what there is inside you, and still how big is the need for your soul to be happy. Sometimes we don’t have a chance, here yes, you have it. I looking for forward to meeting you all. The Workshop is cared by Marilena Pilla that comes from Italy. You need to come dressed in comfortable clothing, please be advised that you will be using paints and different art supplies so don’t wear anything that you may not want to get dirty. The price include the artistic material. €150 for the two days which includes all the art supplies and materials and you get to bring home your powerful creations of LOVE. “I have a Degree in Set Design, and after teaching Art History in the high School, I started to be passionate about Art Therapy when I saw how was good the art on me. In the same period I studied to become an Holistic operator. “The rel-action” with people with the Down syndrome, and one for the violence on women. I continue to do workshops also at school. My dream is to do Art Therapy around the world, and so I started this big adventure, but doing my work in an holistic way. The birth of my children, took me on a path that all has to be “exploration”. Today I still teach art, but in a new way, I want to explore all the feeling we have inside, and take them out. Going through fertility treatment can be a challenging experience both physically and emotionally. All matter of scenarios might be running through your head, with so many questions, what ifs and more. You might be researching the topic or constantly wanting to think about it. Some days you may feel completely overwhelmed with the process, so it is important to put some strategies in place early, to help you cope during these times. Fertility treatment can be an emotional rollercoaster; it is normal to find you cope well some days and others your emotions are a little overwhelming. On those tougher days, consider taking time out for yourself to engage in whatever self-care works best for you – it may be having a good cry, time alone, time with friends or family, doing something you enjoy. Make these part of your daily or weekly routine and use them regularly; prioritise these to assist with your well-being. Self-care is very personal but could include things such as reading, music, exercise, time with family or friends, soak in a bath, fresh flowers, meditation, engaging with spirituality etc. By doing this you can be proactive and channel your energy into things you have the ability to influence which many people find empowering. Things you can control include diet, exercise, sleep, self-care etc. but be balanced in this and don’t be too restrictive. You could set a daily time limit (e.g. 30 minutes) or a specific number of times per week. During this time give yourself permission to think about, talk about, research infertility and treatment as much as you like, but once the time is over try to set it aside until the same time the next day/occasion. 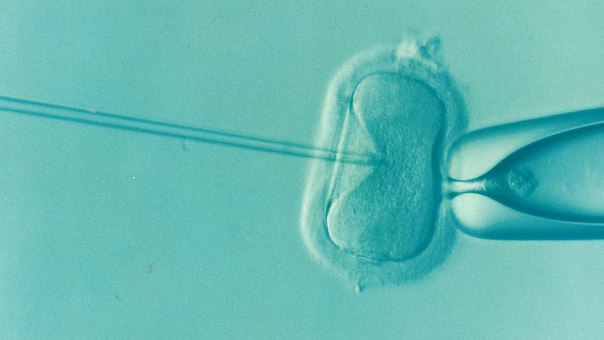 Although difficult, it is important not to let fertility treatment consume you. It is easy for your mind to wander too far ahead worrying about all the what ifs. Try to deal with each moment or difficulty as it arises. Mindfulness can be very helpful in allowing us to stay more in the present moment. It is important to talk with others, particularly your partner about your thoughts and feelings. Fertility treatment can take a toll on your relationship. Try to do things that help to put the fun and spontaneity back into your relationship. Reconnect with all the things about each other that drew you together in the first place. Noting down three things a day that you are grateful/thankful for. These could be related to fertility or could be completely separate. Even in tough times, if we look hard enough there are often other little things in our life that give us hope and lead us to feel thankful. If your feelings seem to be increasing in intensity or lasting more than a few days please seek professional support through your specialist. We are always here to help with your journey through IVF, ART, pregnancy and all that comes with it. We have a full list of therapies that would include body treatments, talk therapies and classes.